WASHINGTON, Feb. 13, 2018 — It’s a measure of the growth of cyber and America’s vulnerability to it that the cyber threat was at the top of the list of worldwide threats the director of national intelligence chose to highlight at a Senate Select Committee on Intelligence hearing today. Daniel Coats (seen in the above photo) also covered Russia, China, Iran, North Korea and terrorism, but he led with the cyberwar that nations, organizations and sometimes individuals are fighting against the United States. Nonstate actors, which include terrorists and criminal syndicates, exploit weak state capacity in Africa, the Middle East, Asia and Latin America, to cause instability and violence within states and among states. A part of many of these malign actors is their use of cyber, the nation’s top intelligence official said. “Frankly, the United States is under attack -- under attack by entities that are using cyber to penetrate virtually every major action that takes place in the United States,” Coats told the panel. “From U.S. businesses, to the federal government, to state and local governments, the United States is threatened by cyberattacks every day.” Russia, China, Iran and North Korea pose the greatest cyber threats, he said, but others use cyber operations to achieve strategic and malign objectives. Weapons of mass destruction is No. 2 on Coats’ list of threats. “Overall, state efforts to modernize, develop or acquire WMD, their delivery systems or the underlying technologies constitute a major threat to the United States and to our allies,” he said. Coats called North Korea the most volatile and confrontational threat. “In addition to its ballistic missile tests and growing number of nuclear warheads for these missiles, North Korea will continue its longstanding chemical and biological warfare programs, also,” he told the senators. Russia and China are expanding and modernizing their WMD arsenals, he said. “Iran's implementation of the Joint Comprehensive Plan of Action, the JCPOA, has extended the time it would take to develop a nuclear weapon from several months to about a year, provided Iran continues to adhere to the deal’s major provisions,” he added. Pakistan is developing new types of short-range tactical nuclear weapons, Coats said, and Syria has used chemical weapons in its civil war. Nonstate actors would love to get their hands on chemical weapons and are trying to get biological weapons, he pointed out. Terrorism remains a threat and runs the gamut from ISIS and al-Qaida to Lebanese Hezbollah and other affiliated terrorist organizations. Iran is a major state sponsor of terror groups. The United States is not immune, Coats said, noting that individuals have “self-radicalized” and launched attacks against their fellow citizens. 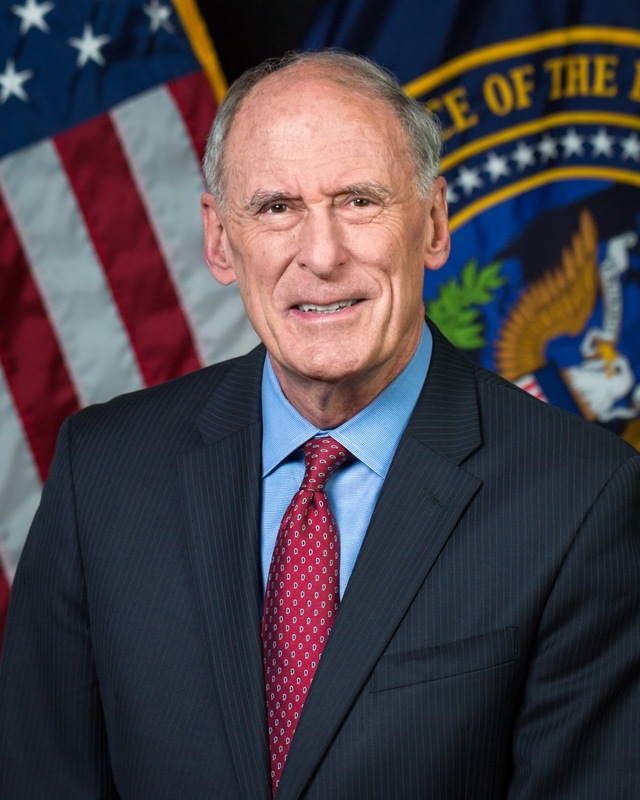 Al-Qaida also will remain a threat, Coats said, telling the senators that the organization remains intent on attacking the United States and U.S. interests abroad. Space is another combat domain now, and Russia and China will continue to expand their space-based reconnaissance, communications and navigation systems in terms of numbers of satellites, breadth of capability and applications for use, the director said. “Both Russia and Chinese counter-space weapons will mature over the next few years as each country pursues antisatellite weapons as a means to reduce U.S. and allied military effectiveness and perceptions of U.S. military advantage in space,” he told the panel. Russia is using a variety of capabilities short of war to assert its presence, Coats said. “President [Vladimir] Putin will continue to rely on assertive foreign policies to shape outcomes beyond Russia's borders,” he added. “Putin will resort to more authoritarian tactics to maintain control amid challenges to his rule. Russia uses these tools – including the cyber weapon – because “it's relatively cheap, it's low risk, it offers what they perceive as plausible deniability and it's proven to be effective at sowing division,” he said. “We expect Russia to continue using propaganda, social media, false flag personas, sympathetic spokesmen and other means to influence, to try to build on its wide range of operations and exacerbate social and political fissures in the United States,” he added. The director said Russia sees past actions against the United States as successful and that it views the 2018 U.S. midterm elections as a potential target for Russian influence operations. China also is seeking to expand its regional influence and to globally shape events and outcomes, Coats said. “It will take a firm stance on its claims to the East China Sea and South China Sea, its relations with Taiwan and its regional economic engagement,” he told the senators. China also intends to use its "One Belt, One Road" initiative to increase its reach to geostrategic locations across Eurasia, Africa and the Pacific, he said. Iran will remain the most prominent state sponsor of terrorism and an adversary in the Middle East, especially in Iraq, Syria and Yemen, Coats said. “We also assess that Iran will continue to develop military capabilities that threaten U.S. forces and U.S. allies in the region,” he added.